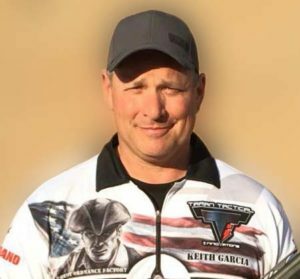 Keith Garcia – is a police officer, SWAT team leader and competitive shooter for over 20 years. Most people know Keith from his numerous wins on “3 Gun Nation” TV show which he primarily competes with shotgun, handgun and rifle. Keith is a sponsored shooter and travels all over the United States competing and teaching firearms classes. Want full access to all of ﻿﻿the ﻿﻿﻿Summit's ﻿sessions? Loved This Session And Want To Watch It Again? Get Access To All of the 15+ Sessions!